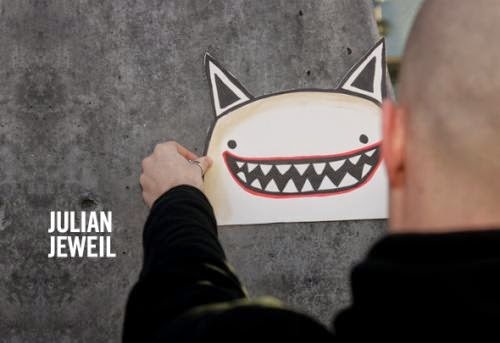 Internationally acclaimed DJ and producer Julian Jeweil is originating from the south of France. In 2007, he released his first Hit EP “ AIR CONDITIONNE”. Following this magnificient release, Julian continued his musical journey producing a second EP for Skryptom, named "POP CORN" and remixed by Danton Eeprom. He then proceeded to producing two more – “TOURNESOL” on Craft Music and “MY CAT” on Figure (Len Faki’s label).In 2010, Julian signed to two prestigious labels, Cocoon Records (Sven Vath's label) and PLUS 8 records (Richie Hawtin's label): "BABOO" was released on PLUS 8 records and includes 4 tracks. "COLOR" was released on COCOON and includes 3 tracks, one of which is "SOHO" which charted at number one the beatport techno charts.Julian’s other releases that same year include " TECHNO CORNER" EP on Popof's Form records, a remix of Moby’s "STAY DOWN" and the "POLAROID" EP on Sébastien léger ‘s record label; Mistakes music.Performance-wise, Julian has hit various stages all across the world. His techno live PA has been heard on multiple festivals and venues. The latter includes: Monegros desert festival (Fraga), Kaballah festival (Sao Paulo), Soul tech festival (Mexico), We love techno (Tel Aviv), Refresh festival (Portugal), Astropolis/ Marsatac/ I Love Techno/ Electro d'Uzes etc (France), ROW 14 (Barcelona), Womb (Tokyo), D.Edge (Sao Paulo), Onzième (Osaka), Sankeys (Manchester), Zoon (Mexico), Rex club (Paris),Warehouse party (London), Ellui club ( Seoul) ... and many more.In 2011, Julian established himself as one of the most reliable techno artists. There is no doubt that he has earned his spot amongst the celebrities of PLUS 8 records after signing his second release with them: “HERMANOS” ep. He is currently working on his remixes for artists like John Digweed/ Nick Muir, Dusty Kid etc. He is also working on more techno, as well as some tech house tracks... This biography is therefore, to bec o nt inue d !! !